The live action wave continues. 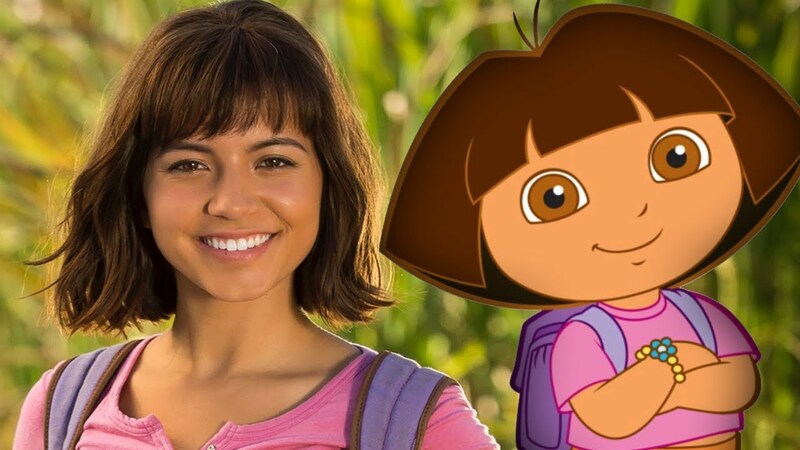 As if enough of your childhood favorites weren’t getting the live action treatment, Dora The Explorer is up next on the block for a new film that will reimagine the popular kids’ show with Dora And The Lost City Of Gold. In a new trailer, the Nickelodeon staple follows a new plotline in which Dora The Explorer is forced to grow up and leave behind her explorer ways in search of the life of a normal teenager as she moves from out of the jungle and to live with her cousin Diego, who has long left behind his own childhood escapades, which were chronicled in the popular Go, Diego, Go! spinoff. Nevertheless, Dora now joins the list of the likes of Aladdin, Dumbo, Kim Possible, and even the inhabitants of the Pride Lands in Lion King as the latest cartoon character to be brought to life. Reactions to the remakes have certainly been mixed with the Lion King live-action remake on the receiving end of more praise while films like Aladdin face some criticism, especially over the CGI genie portrayed by Will Smith. The new Dora film does take a step away from recreating a storyline, however, opting to wade in the tricky waters of showing what happens when immortalized characters have to grow up, and our childhoods along with them. Dora And The Lost City Of Gold arrives in theaters on August 2nd.